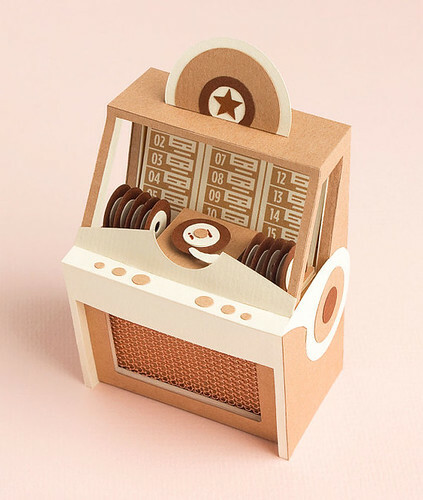 If you're one with a soft spot for all things retro-modern, I think you'll enjoy the paper models and jewelry that London illustrator/designer Jacqueline Wagner creates. Jacqueline's favorite material to work with is paper... she fondly remembers making shoe box dollhouses and playgrounds as a child. 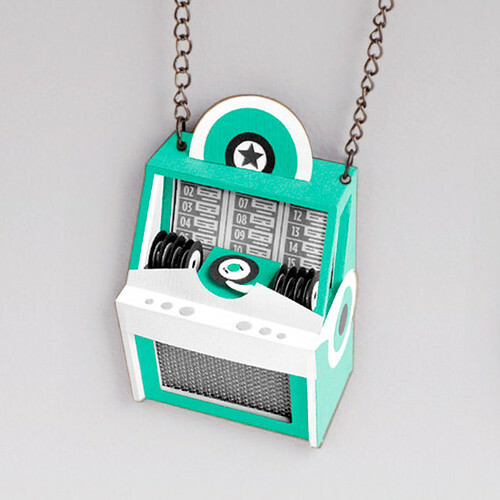 To this day, Jacqueline continues the playful theme in the form of handmade 3D models that she turns into whimsical, wearable conversation starters. 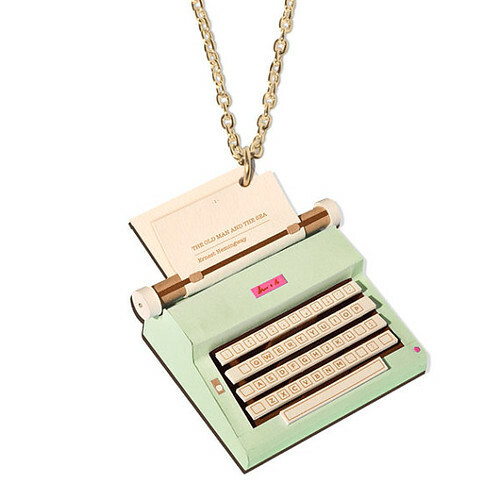 To give you an idea of scale, this vintage typewriter necklace measures a bit less than 1.5 inches in diameter. 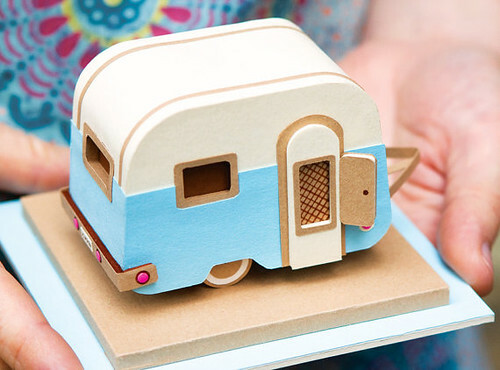 Lucky for us, Jacqueline shares tutorials on her blog that show how she goes about constructing colorful models from foam core board - such as a retro typewriter, caravan, ice cream van, and jukebox. 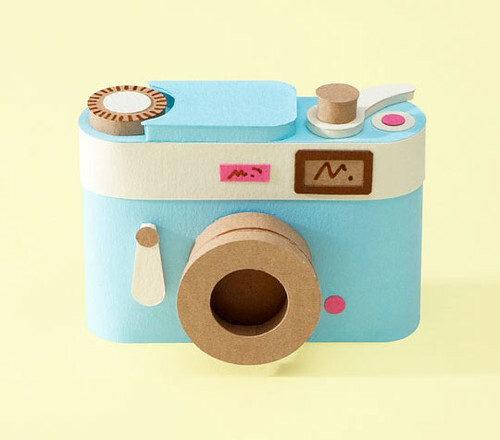 Via photographic magic, they become sturdy, water repellent paper necklaces, brooches, and earrings. Jacqueline also does commercial projects - paper illustration and set/costume design. 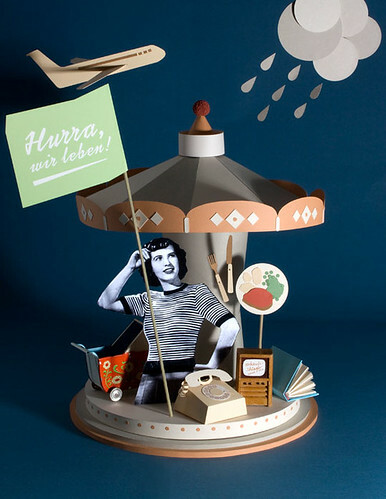 This Happy Times illustration is one she created for Emotion, a German magazine. The article it accompanied "discussed our fear of looming catastrophes and disasters, while highlighting the benefits of living in an affluent society." 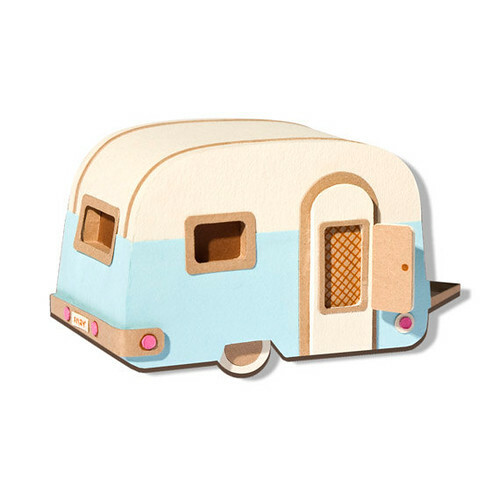 Jacqueline's Etsy shop is Splendid Paper Craft by Fine Format. Visit her website to see more creative projects and find her on Facebook, Pinterest and Twitter. These are incredible! So detailed and perfect in every way. We are lucky she shares all her methods . Love her jewellery. Oh! They're all so cute. Love the camera especially! Thanks for sharing! Just amazing. Thank you for the introduction!